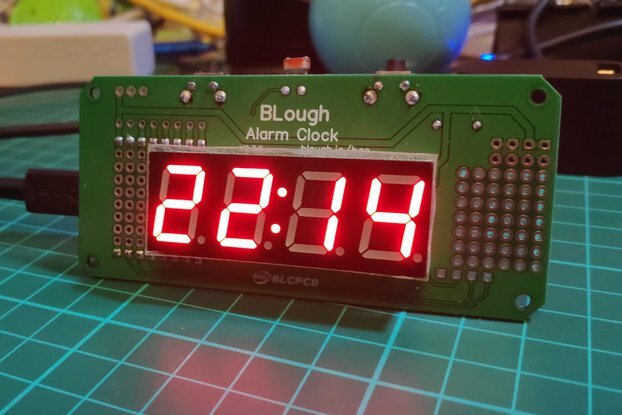 A shield for a D1 mini ESP8266 board that connects to a RGB LED Matrix panel. Screw terminals that can be used to power the board instead of the 2.1mm jack. 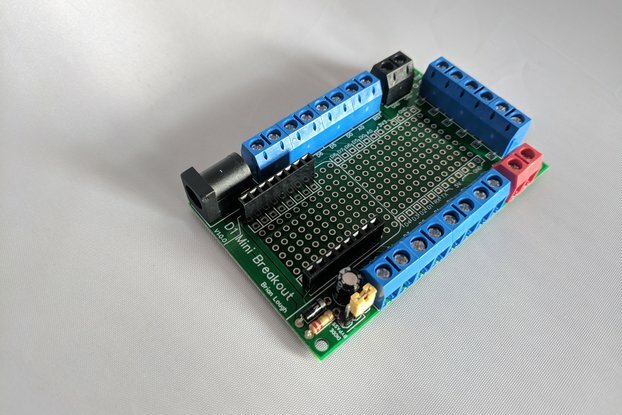 A shield for easily controlling RGB LED Matrix using a D1 Mini ESP8266 board. 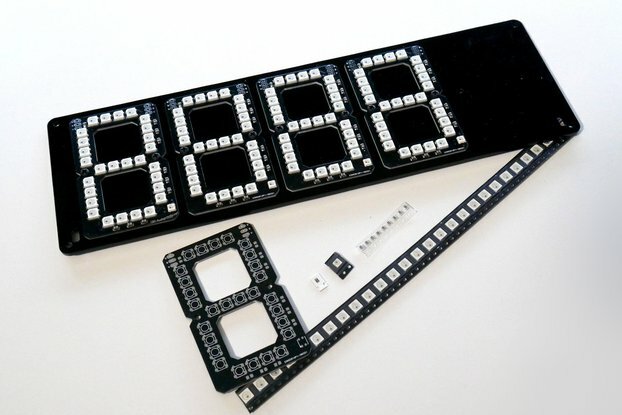 This board takes advantages of the cables that come included with most displays. 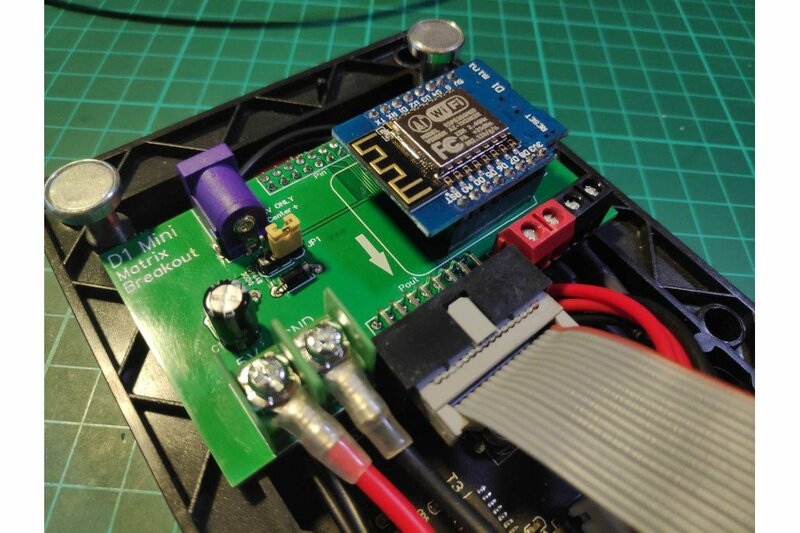 This board makes wiring them really simple! 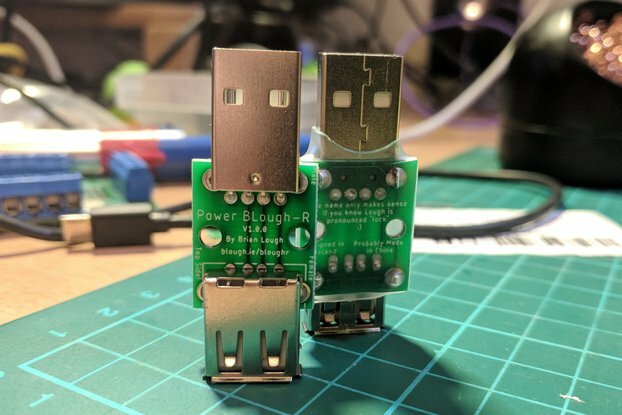 The board just slots directly onto the input header pin, uses the ribbon cable that comes provided with most of these panels to connect the pins of the output header and has screw terminals to connect the power cable that comes with most panels. This really makes using the display as simple as possible. 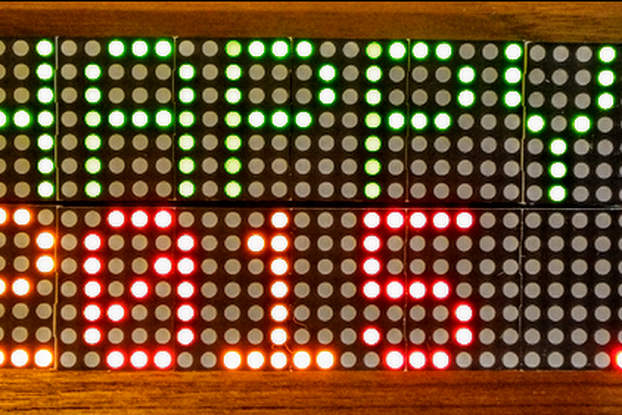 Making use of the cables that comes with the display allows the board to be smaller and less expensive. The following components are not provided, but are required to use this board. Most (all?) panels come with a ribbon cable and a power cable, this board requires these. A 5V PSU cable of running the display (roughly 5A for a 64x32 model). The barrel jack is standard 2.1mm Jack, but you can also use the optional screw terminals to power the board. Examples sketches for using these displays. 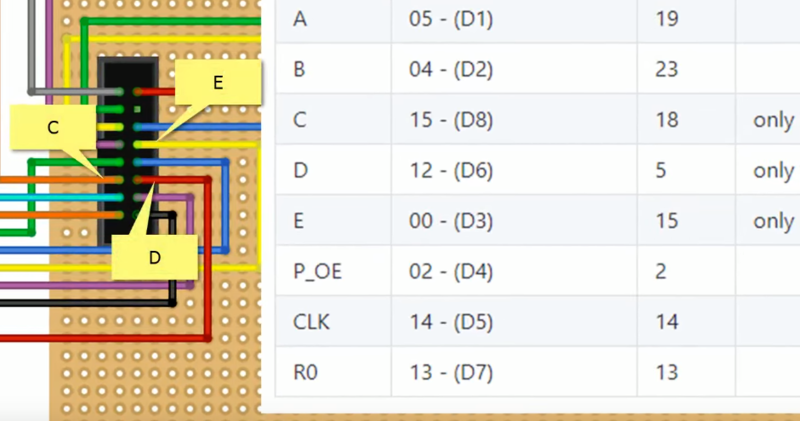 Some displays do not use all the pins that are connected to the D1 Mini, you can test if your display uses these pins by checking if they have continuity with ground. If they do, use the red dip switch to turn disconnect these pins from the D1 mini or the ESP8266 may not boot!